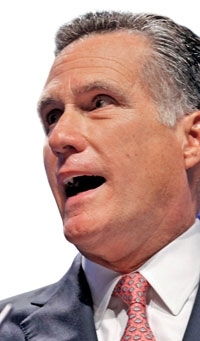 Mitt Romney: "The U.S. government shouldn't be playing venture capitalist." Mitt Romney says those big loans the Obama administration gave to EV startups Fisker and Tesla are nothing more than "handouts to politically connected investors with politically correct business ideas." In an opinion column in the Orange County Register, the Republican presidential candidate says the payouts ought to be scrutinized by Congress. "The U.S. government shouldn't be playing venture capitalist," Romney wrote. "It's not merely that government bureaucrats are bad at picking winners. The very process invites cronyism and outright corruption." The feds have loaned $529 million to Fisker and $465 million to Tesla to help get the California-based ventures off the ground. Romney called Tesla CEO Elon Musk "a major Democratic donor who has poured money into Obama's campaign coffers" and noted that Fisker investors, including former Vice President Al Gore, have donated more than $1 million to political campaigns, mainly to Democrats. "Tesla, for its part, has financial backing from a fundraiser who bundled hundreds of thousands of dollars for the president's campaign," Romney wrote. Tesla spokesman Ricardo Reyes told The Detroit News: "It's unfortunate that Gov. Romney is using Tesla as a political tool, and he's wrong. We're creating American jobs."